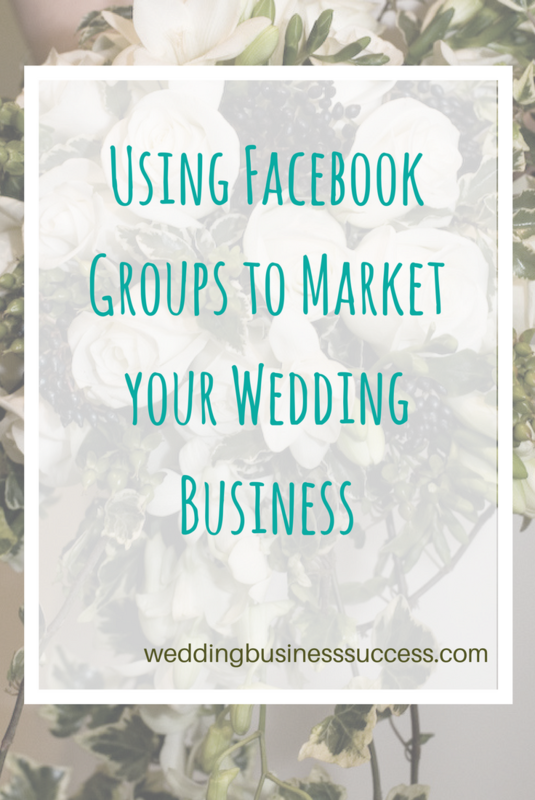 With Facebook organic page reach at an all-time low, many savvy wedding business owners are turning to Facebook groups as a way to promote their business. Here’s our beginners guide to Facebook groups and how to get the most from them. Groups are basically online communities based around a particular interest or activity. You’ll find local groups, fitness groups, buying & selling groups and, of course, wedding industry groups like our very own Wedding Business Success Hub. Only people can join groups – not businesses. So you will need to use your personal profile when asking to join a group. Groups can be Open, Closed or Private. As you’d expect, anyone can join an open group. For closed groups you need to ask to join and your request has to be approved by a group administrator (some will let existing group members add new members). Closed groups appear in search and anyone can see the group, its members and its description, but only members can see posts. Private groups don’t appear in search and only members can see it and its content. Anyone can start a Facebook group. You can search for groups and Facebook will also suggest groups for you from time to time. You’ll be able to see how many members a group has (big is not necessarily better) but if it’s a closed group you won’t be able to see what is being posted. So you may want to join a number of groups and then work out which ones are going to be best for you. Once you join a group do read the group rules about posting and promotions – most will have guidelines about if, when and how you can promote your business. Simply joining dozens of groups, posting your sales pitch and disappearing isn’t going to do you any good (but you’d be amazed how many people do it). You have to think of groups as a networking opportunity and like all networking, you need to turn up regularly to get results. And you need to build your reputation. Think about the other group members and how you can help them. For instance if it’s a group for couples planning their wedding, ask questions (groups are great for market research) and offer tips and advice. If it’s a group aimed at wedding businesses then there’s no point promoting your wedding services – nobody’s buying. 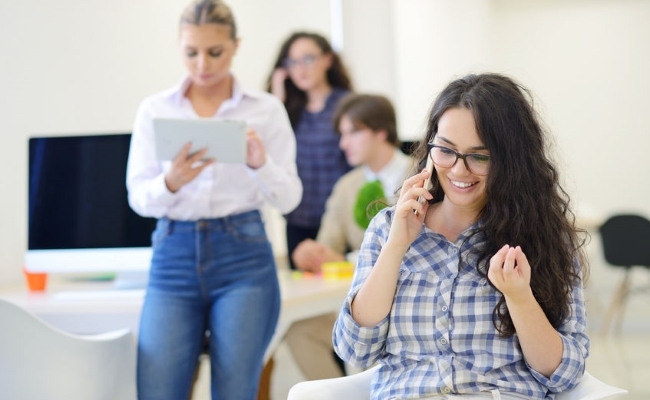 These groups are for building your contacts and finding others to collaborate with. Look for ways to get into conversations with the group members and also ask for advice and opinions. You might ask brides if they prefer design A or design B which is a great way of showing off your products without promoting them. Many groups will have promotion threads so make sure you participate in these. You will probably find there are 3-4 groups which are most useful for you so concentrate on those – otherwise you’ll spread yourself too thinly. Would starting your own group be a good option? There’s no doubt groups offer a great opportunity for you to build a community around yourself and your business. But before you jump in remember that groups are also time consuming to run and there must be a benefit both for yourself and the group members. So think about what the purpose would be, how it would help you achieve your goals and why people would want to join. If you haven’t already discovered groups, give them a try. Start by joining the Wedding Business Success Hub and discover a whole new range of opportunities. 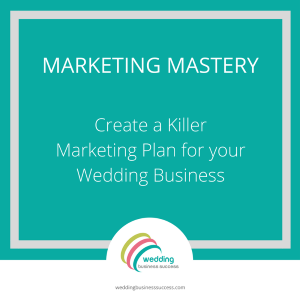 Remarketing – beginners guide for wedding businesses.